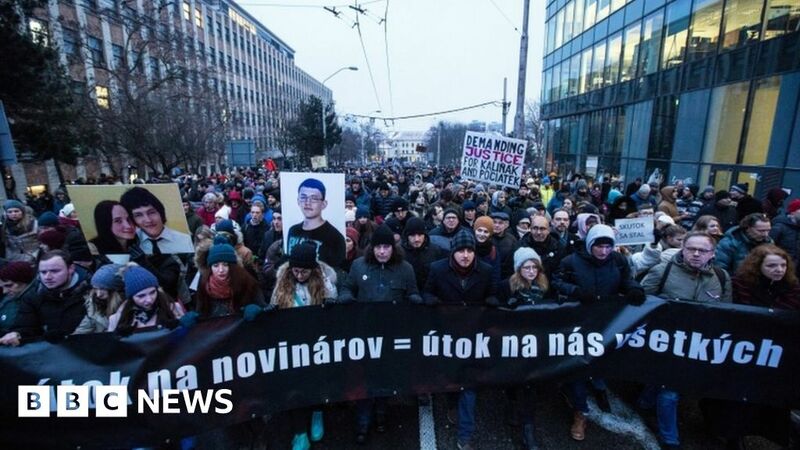 Thousands of Slovaks have been holding nationwide protest vigils in memory of a journalist and his fianceé, who were shot dead last Sunday. 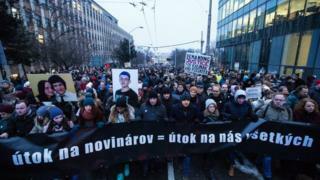 Jan Kuciak, who was writing an article on corruption allegations, and Martina Kusnirova were killed at their home east of the capital Bratislava. Marchers in 25 cities demanded an end to mafia influence, saying an attack on journalists was an attack on everyone. Seven people have been arrested in connection with the killings. Kuciak, 27, had been investigating suspected mafia links among Italian businessmen in Slovakia. He was killed before he had finished the article, but it was published posthumously. 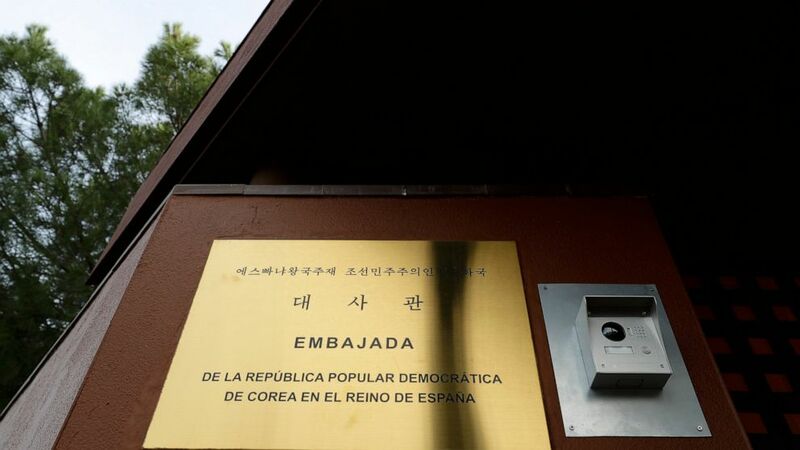 One of those arrested on Thursday was an Italian who had done business deals with officials close to Prime Minister Robert Fico. President Andrej Kiska led the protesters, said to number between 10,000 and 20,000, in a minute’s silence. Some of the protesters at the peaceful march then moved to the office of Prime Minister Fico to demand the government’s resignation. The pair were due to marry in May. The funeral for Martina Kusnirova was held on Friday. She was buried in her wedding gown in a ceremony attended by hundreds of mourners in the northern town of Gregorovce. Kuciak’s funeral will be held on Saturday in Stiavnik, close to the Czech border. One of the men he named was Antonino Vadala, who was among those arrested on Thursday. This is the first killing of a journalist in Slovakia’s history. He has also regularly attacked journalists in the past, calling them “dirty, anti-Slovak whores” and “slimy snakes”.